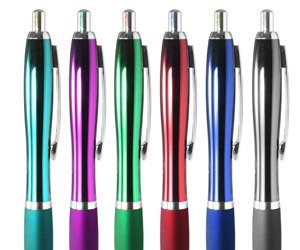 Build a lasting impression with top-of-the-line promotional products featuring your brand. We’ve collected your most wanted items into an online store full of items ranging from pens to electronics. Gain exposure by featuring your business on these, and everything in between! Added bonus? We’ve lowered our entire catalog’s minimum order quantities. Whether you need only one, or want to try before you buy, say goodbye to the days of storing away excess promo items in boxes! Explore our top picks and promote your brand wherever you go. And remember to browse our new, eco-friendly product line! Create a free account and enhance your marketing with customized promotional products. What is a Rack Card?